Yorkshire based Simply By Arrangement is a floral business run by Sarah Statham and her team. 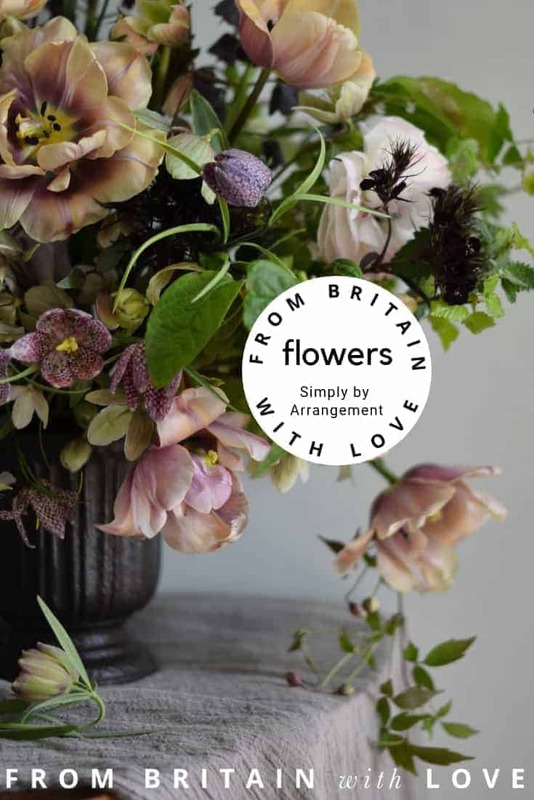 With a workshop, garden and home set in the Yorkshire hillsides that inspired many great writers, we are passionate about bringing the most beautiful seasonal flowers to the North of England and beyond. 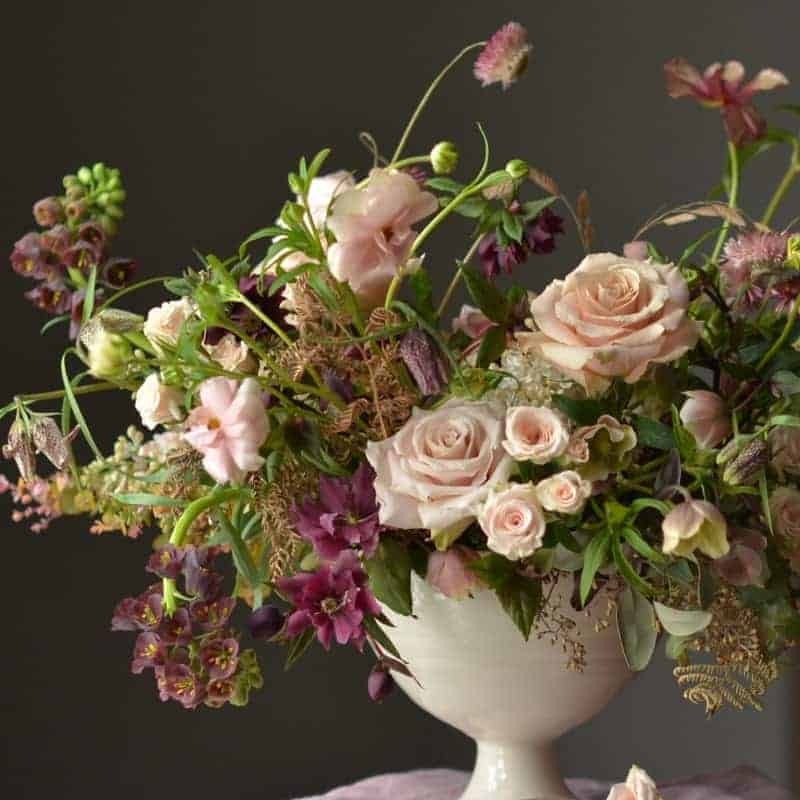 Our floral designs are wildly abundant, reflecting our own love of the English garden, each one full of texture, movement and life – almost as if still growing. We design for weddings, events, homes and magazines, and we teach others how to ‘do the flowers’ and how to make designs that tell the true story of the flowers they contain. Workshops are our speciality. They are a complete feast for the senses, with masses of fine flowers and food- a perfect day away from the stresses of everyday life. From our small corner of Yorkshire (with our cutting garden) or our larger space in Lancashire, and often also other interesting places we have discovered, we provide a warm and nurturing environment in which to learn the art of floral design. 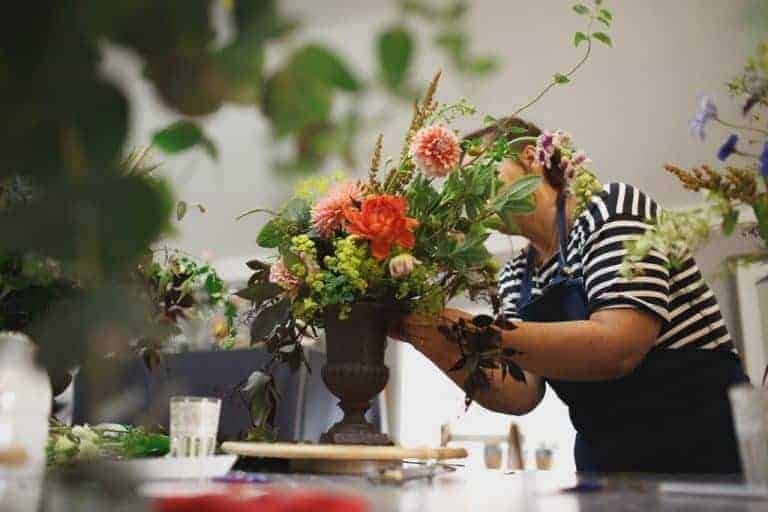 Whether you are new to flowers and want a day of escapism, a traveller in need of a break, an aspiring florist, or even an experienced florist in need of inspiration, we can provide the workshop for you. Sarah spends time each year training and teaching with internationally recognised floral designers. Her philosophy for life is to ‘never stop learning’ and also through kindness and generosity to pass on to others anything that might help them in life, business and wellbeing.